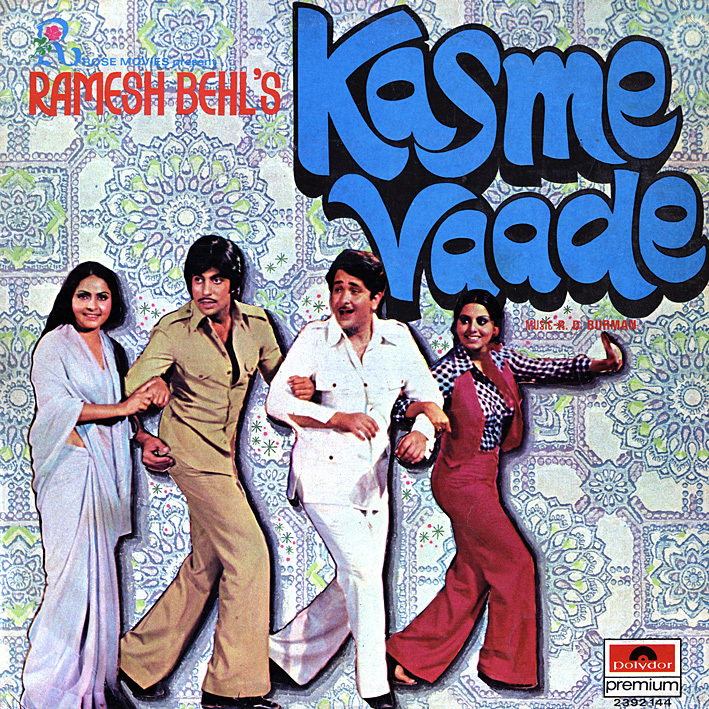 'Kasme Vaade' is another one of those RD Burman soundtracks that’s impossible to dislike yet difficult to get really excited by. The songs are kind of nice; 'Kasme Vaade Nibhayenge Hum', 'Gum Sum Kyon Hai' and 'Aati Rahengi Baharen' are poppy and pleasant, 'Mile Jo Kadi Kadi' has a likeable groove (traditional, not Western) and 'Kal Kya Hoga' is a typically Burmanesque mishmash of styles and themes. So what’s wrong then? I’m not sure. It’s hard to explain… perhaps there’s just not enough passion. I have no idea what RD’s brief (or mindset) was for this one, and I may be wrong but I get the sense of it being created on autopilot. It sounds adequate; not particularly great, but good enough. And is that really good enough? I used to own a vinyl of kasme vaade but now all those days are long gone....thanks a lot for sharing !